JAMES McDonald has a $3.5 million decision to make - Tassort or McLaren. The jockey has to pick between the ruling Golden Slipper favourite, Tassort, or Saturday's impressive debut winner McLaren. 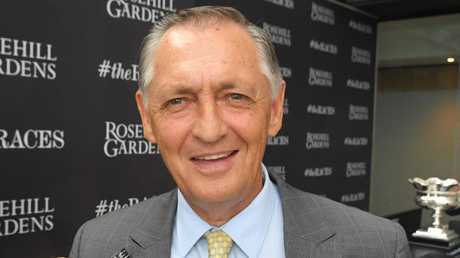 While Tassort's debut win at Rosehill Gardens in November was overwhelming and came with a 5.3-length margin, McLaren's performance was a little more low key by comparison but still enough to impressive McDonald and co-trainer Peter Snowden. "Nice horse,'' McDonald said of the colt, who firmed in to $10 with Ladbrokes for the Golden Slipper after his win in the Canonbury Stakes. "He is a little racehorse who does everything good out there. The pace was solid for him and he was able to get into rhythm and finish off. "He has always been a bit of a hyperactive little horse but the best thing about him is when you get him out on the track, he knows what he is there for. He has been very well educated. McLaren was odds-on through betting, starting at $1.55 by virtue of his three booming trial wins, the last one by almost seven lengths. 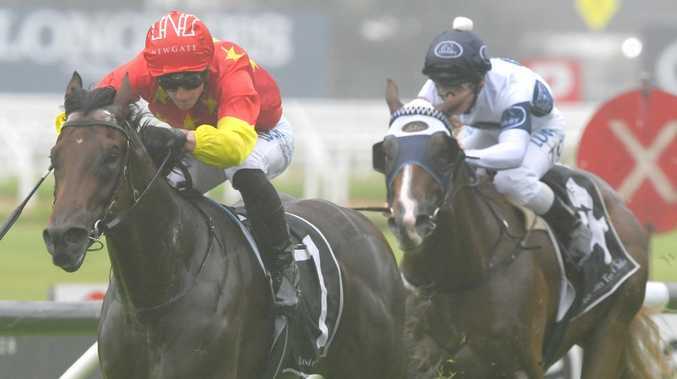 McDonald made it a painless experience for punters who took the short odds, sitting off the leader Exceed The Stars then taking over at the 200m and forging clear. Spring Loaded finished strongly to cut the margin to 0.8 lengths on the line with Deep Chill third. Snowden, who knows what it takes to win the world's richest two-year-olds' race, praised McLaren's performance, albeit with a few caveats. "It is good to get that done but there is a lot of room for improvement,'' he said. "He just did a few things that you don't want to see them do but he's got talent. I am being very picky but you've got to be at this level and hopefully there are a few things we can improve. "What I did like, though, is that he began well and was going to get going keenly but he came back off and I'm glad James gave him the opportunity to do that, he did that really well, so that's a big plus. McLaren, a $380,000 Magic Millions Yearling purchase, was identified early on a Slipper candidate. Team Hawkes meanwhile were rightfully pleased with the debut run of blue-blooded Redoute's Choice colt and Typhoon Tracy relation Spring Loaded who has a bright future.